A new video released by TheB1M displays how one of London’s tallest new skyscrapers, 22 Bishopsgate, is benefiting from immersive 4D virtual reality during planning and delivery. The project is being undertaken by Multiplex who, by use of immersive 4D virtual reality can sequence their work in an immersive space. 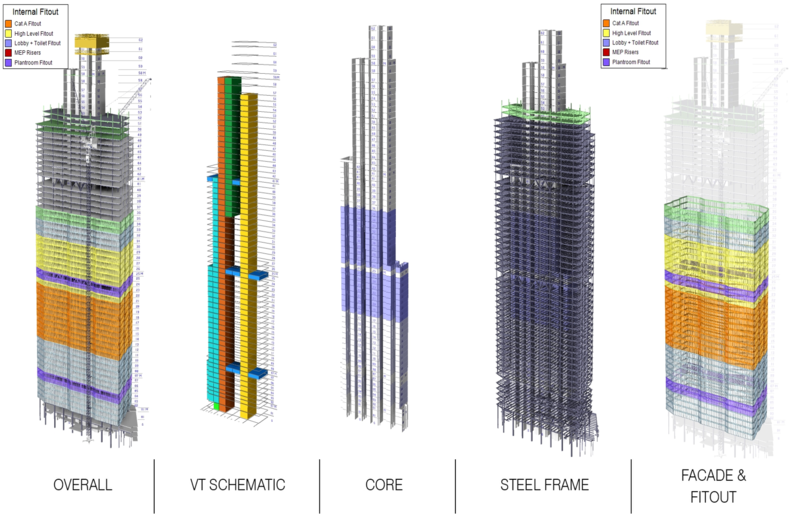 In order to construct the 62-storey structure of 22 Bishopsgate, the project is being 4D modelled with a platform that allows users to develop build programmes alongside graphical representations of the works. Once it is completed, 22 Bishopsgate will be the second tallest skyscraper in London after The Shard in 2019. Through the 4D virtual reality, construction teams can move through their project programmes to see how work will develop before actually getting on site. The video, courtesy of TheB1M, shows how the technology works. 22 Bishopsgate is a commercial tower planned as the centrepiece of London’s city cluster. With challenging logistics, a deep basement, and a complex interface with existing structure, the requirement for a robust schedule and logistics plan was essential. Freeform have been working with the project team for 2 years, since 2015, supporting schedule and logistics development. The 4D model has been used to test and refine the strategy for the demolition of the existing structure, the deep triple basement, site access, vertical access and to communicate impacts of design decisions. Multiplex, with its partner Freeform is implementing a world first system by linking digital construction and logistics planning to interactive virtual reality. Taking what is traditionally a time-consuming task with multiple stakeholders involved to a completely new dimension. A library of vehicles, machinery and logistics items such as fencing and barriers are built into the software which allows the team to walk the site at any given time in the future and build a 3D model of the entire construction and logistics plan. Multiple users, which may be spread out across the country can interact in this environment, allowing a level of communication never before possible. Every facet of logistics is built into this system, including high detail models of the tower cranes. The crane drivers themselves will be able to use the system to evaluate major lifts well before carrying them out on site, therefore allowing detailed and extensive safety planning.